Reinke’s wide selection of mechanized irrigation systems includes: Center Pivot Systems (Standard & Towable), Lateral Move Systems (Canal Feed, Hose Feed & Pivoting) and Small Field Irrigation Systems (Mini-Pivot & Hydrus by Reinke). Stress and farming go hand-in-hand. Reinke just took your pivot off the list with their new five-year structural warranty. The other guys fall short at two years compared to Reinke’s five-year structure warranty – the longest in the business. With Reinke you get more years – and more peace of mind. Reinke aims to produce the most durable, user-friendly, and trouble-free systems possible. Innovative products and parts that are simple to use and maintain help accomplish this goal. Reinke’s dedication to ease of use and state-of-the-art technology makes our products more energy, labor, and water efficient. In the field of large-volume sprinklers, Nelson Big Guns® are recognized the world over as the leader in quality and performance. They are engineered and precision manufactured for heavy-duty reliability and long wear life with minimum maintenance required. Every Nelson Big Gun® is subjected to the toughest inspection testing and quality control standards in the industry. The SR (Slow Reverse) series of Big Guns® is far and away the number one choice for center pivot end gun and traveler use around the world ... it's indispensable in dust suppression and wastewater applications as well. With its proven dual arm drive and patented dual drive spoon, the SR gun reverses at the same slow, steady speed as it drives forward. This greatly reduces the vibration and whipping action of the old fast reverse system, which puts excessive stress and strain on the carrying device. 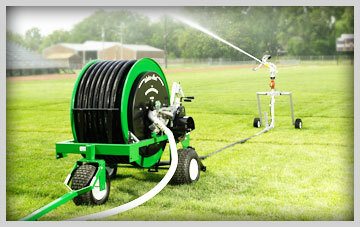 Kifco is the leading provider of water reels, hoses, pumps and sprinklers in the USA. Our portable irrigation solutions meet the needs of most applications, including sports field irrigation, construction site dust management and agricultural irrigation. Kifco B-Series Water-Reels are a versatile solution to your sports field, horse arena, cemetery, park, pasture, garden or residential irrigation needs. 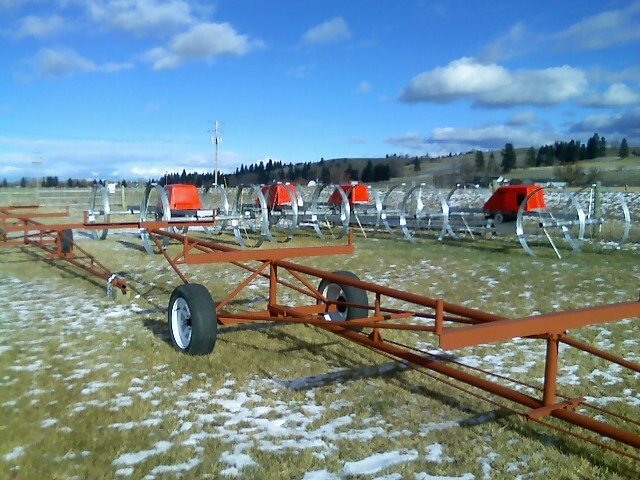 B-Series travelers come in a wide variety of lengths and tube diameters and can irrigate an area as small as an indoor horse arena or as large as a 30 acre pasture. 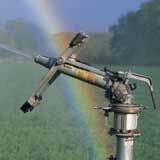 Irripod Plus is a flexible, cost effective pipeline sprinkler irrigation system for pasture and forage crops. 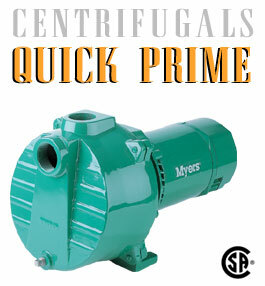 Designed to operate at low pressure Irripod Plus distributes water on a slow absorption rate over a 12-24-hour period. This allows for effective absorption into the soil whilst eliminating pooling and run off. The system only requires movement once per 12-24 hour period. Irripod Plus is a component system that is simple to install and manage. The system utilises protective Pod Skid covers over sprinklers that are attached to an irrigation pipeline. Irripod Plus can be configured to suit individual requirements dependant on application rates, the distance to be irrigated and the rotation intervals appropriate for the situation. Each Irripod irrigation line can be customised to suit varying paddock sizes and shapes while also accommodating existing obstructions. 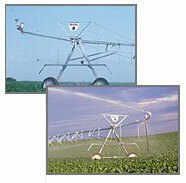 Irripod irrigation lines are strong, lightweight and flexible, easily moved while the system is operating by attaching the lines to an ATV or farm vehicle. The flexibility of Irripod Plus means the system can be configured for many different end uses in addition to traditional pasture and forage crop irrigation; these include orchards, golf courses, sports fields, race tracks, dust suppression in developing housing sub-divisions and bush fire protection. We fabricate and build our pipe trailers here in our shop and they come in either a 2" ball hitch or pin lug hitch.